*Actual lease price determined by your authorized Porsche dealer; your payments may vary. Closed-end lease offered to qualified lessees with approved credit by Porsche Financial Services through participating U.S. dealers. Must take delivery by 4/30/2019. Estimated payments based upon MSRP of $54,940(Stk #PP218673, VIN: JLB07908 ) includes delivery, processing, and handling fee) for a Model Year 2018 Macan with the following options: 18" Macan S Wheels Wheels, Driver Memory Package, Seat Heating (Front), Steering Wheel Heating, Porsche Connect, Lane Change Assist and Panoramic Roof System. Model pictured may have optional features and equipment. Price excludes any title, taxes, registration, license fees, insurance, maintenance and dealer fees. Lease payments of $599 for 39 months total $23,361 based on the adjusted capitalized cost of $52,646 (requires dealer contribution which could affect price). Total due from customer at signing $5,589 (first month’s payment, acquisition fee of $995 and capitalized cost reduction of $3,995). No security deposit required. At lease end, lessee pays excess wear, $.30/mile over 32,500 miles and $350 disposition fee. Purchase option at lease end $32,414 plus taxes. Specific vehicles and options are subject to availability and your price may vary. For additional information see your participating authorized Porsche dealer or visit Porsche.com/usa. Excludes any title, tax, registration, license fees, insurance, maintenance and dealer fees. No Security deposit required. *Actual lease price determined by your authorized Porsche dealer; your payments may vary. Closed-end lease offered to qualified lessees with approved credit by Porsche Financial Services through participating U.S. dealers. Must take delivery by 4/30/19. Estimated payments based upon MSRP of $129,450(VIN JL136146) (includes delivery, processing, and handling fee) for a Model Year 2018 Panamera 4S with the following options: Metallic Paint, 21" Exclusive Design Wheels in Silver Platinum, 4-zone Climate Control. Premium Package Plus. Sport Package, Sport Chrono, ParkAssist. Model pictured may have optional features and equipment. Price excludes any title, taxes, registration, license fees, insurance, maintenance and dealer fees. Lease payments of $1,549 for 39 months total $60,411 based on the adjusted capitalized cost of $110,639 (requires dealer contribution which could affect price). Total due from customer at signing $8,539 (first month’s payment, acquisition fee of $995 and capitalized cost reduction of $5,995). Offer includes $2,500 MY18 Panamera 4S and Panamera Sport Turismo Program. Must qualify for Porsche EOTLLP or WTP program. No security deposit required. At lease end, lessee pays excess wear, $.30/mile over 32,500 miles and $350 disposition fee. Purchase option at lease end $68,148 plus taxes. Specific vehicles and options are subject to availability and your price may vary. For additional information see your participating authorized Porsche dealer or visit Porsche.com/usa. Excludes any title, tax, registration, license fees, insurance, maintenance and dealer fees. No Security deposit required. *Actual lease price determined by your authorized Porsche dealer; your payments may vary. Closed-end lease offered to qualified lessees with approved credit by Porsche Financial Services through participating U.S. dealers. Must take delivery by 4/30/2019. Estimated payments based upon MSRP of $110,480(Stk# PP219005 VIN KS103224) (includes delivery, processing, and handling fee) for a Model Year 2019 911 Carrera Coupe with the following options: Premium Package Plus i.c.w. Power Sport Seats (14-way), LED Headlights with Porsche Dynamic Light System Plus, Porsche Doppelkupplung (PDK), Adaptive Cruise Control, Lane Change Assist, Power Sport Seats (14-way) with Memory Package, BOSE® Surround Sound System, heated steering wheel, Sport Chrono Package. Electric Slide/Tilt Sunroof in Glass. Model pictured may have optional features and equipment. Price excludes any title, taxes, registration, license fees, insurance, maintenance and dealer fees. Lease payments of $1,199 for 39 months total $46,761 based on the adjusted capitalized cost of $95,707 (requires dealer contribution which could affect price). Total due from customer at signing $10,189 (first month’s payment, acquisition fee of $995, and capitalized cost reduction of $7,995). No security deposit required. At lease end, lessee pays excess wear, $.30/mile over 24,375 miles and $350 disposition fee. Purchase option at lease end $67,392 plus taxes. Specific vehicles and options are subject to availability and your price may vary. For additional information see your participating authorized Porsche dealer or visit Porsche.com/usa. Excludes any title, tax, registration, license fees, insurance, maintenance and dealer fees. No Security deposit required. *Actual lease price determined by your authorized Porsche dealer; your payments may vary. Closed-end lease offered to qualified lessees with approved credit by Porsche Financial Services through participating U.S. dealers. Must take delivery by 4/30/2019. Estimated payments based upon MSRP of $78,010(VIN KDA07552) (includes delivery, processing, and handling fee) for a Model Year 2019 Cayenne with the following options: Wheel Center Caps with Colored Porsche Crest, Seat Heating (Front and Rear), Premium Package Plus.Steering Wheel Heating, Panoramic Roof. Model pictured may have optional features and equipment. Price excludes any title, taxes, registration, license fees, insurance, maintenance and dealer fees. Lease payments of $899 for 39 months total $35,061 based on the adjusted capitalized cost of $66,704(requires dealer contribution which could affect price). Total due from customer at signing $7,889 (first month’s payment, acquisition fee of $995 and capitalized cost reduction of $5,495). No security deposit required. Former demo vehicle is 3,511 miles. At lease end, lessee pays excess wear, $.30/mile over 32,500 miles and $350 disposition fee. Purchase option at lease end $44,195 plus taxes. Specific vehicles and options are subject to availability and your price may vary. For additional information see your participating authorized Porsche dealer or visit Porsche.com/usa. Excludes any title, tax, registration, license fees, insurance, maintenance and dealer fees. No Security deposit required. Check out our exclusive lease offers. Leasing allows you to drive a newer model car that's always under warranty, and pay less per month than if financing your purchase. Purchase the car at the end of your lease term or walk away. Your choice! With Porsche E-Performance, get ready for the first electric sports car with the soul of a Porsche. Mark your calendar for December of 2019 when the Porsche Taycan will make its debut at Town Porsche. With pickup & delivery service, complimentary loaner vehicles, and certified service technicians, Town Porsche’s service center is the smart choice for expert maintenance and repairs that will keep your finely tuned vehicle running like new. Iconic. Legendary. Prestigious. Porsche automobiles have a reputation. And as the premier Porsche dealer for New York and New Jersey, Town Porsche continually strives to live up to that reputation and exceed our customers’ expectations. Every driver we meet — from the thrill seeker to the everyday enthusiast — knows that we share their passion for world-class automotive excellence. You demand the best, and we deliver the best: the best customer experience and the best driving experience. Call (201) 227-6500 today and let our Englewood dealership start exceeding your expectations. Since 1983, Town Porsche has forged trust with customers from the Bronx to Rockland, from Passaic to Englewood, and throughout Bergen County. We keep an extensive inventory of the new Porsche models, and our sales staff and factory-trained Porsche technicians have vast knowledge and experience with these high-performance cars. 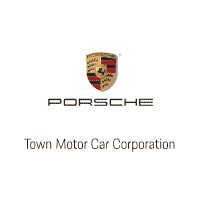 Town Porsche is a Porsche dealership that goes above and beyond to satisfy our customers. From the indoor showroom to the outdoor lot, our Englewood property is as striking and impressive as you would expect from a Porsche car dealer. Still, we keep the focus on you, offering special offers that help you finance or lease at affordable prices, and we can also direct you to a number of gems in our pre-owned and certified pre-owned inventory. Interested in customizing your Porsche? Our Porsche Brand Ambassadors can modify your vehicle to the specifications you desire, and our service department can keep your car in top shape on the road. We even have a number of special offers on genuine Porsche parts. Town Porsche is conveniently located in Englewood, NJ, just minutes from New York City, but it’s more than location that makes us your Porsche dealer of choice. We’re also living up to the Porsche reputation with each and every customer we meet. Contact us at (201) 227-6500 to get to know us a bit more. We look forward to seeing you soon. Best Porsche dealer for service and sales! !Marcy and Danielle are amazing!Just one recent example, I wanted to activate Porsche Connect on my new car. The other Bergen dealer wanted to charge me $250 for the 1 hr of labor to plug in to their computer. Town Porsche said they waive it for their customers and charged $0!